Not-for-profit housing provider Housing & Care 21 has submitted an application to Scarborough Council to build the development in Scarborough Road. 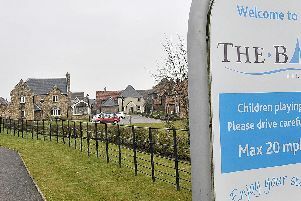 The site, formerly known as Filey Fields Farm, would be home to 38 one-bedroom apartments and 32 two-bedroom apartments under the plans, with potential residents able to choose whether to rent or enter into a shared ownership agreement. In its submission to the council Housing & Care 21 states: “Living independently, residents can take comfort from the proximity of extra care staff and the inherent security of the building. “Residents will benefit from the public facilities and the ad-hoc care available, including the subscription-based emergency call system 24/7. “The layout also ensures that important landscaping features are provided, including footpaths with seating at regular intervals. The organisation adds that rent levels for properties to be rented/shared ownership will be set by Scarborough Council in conjunction with Housing & Care 21. As such, all the properties will be considered to be affordable housing.